Air Treatment System removes and prevents mold regrowth for a healthier home! How is mold a threat? 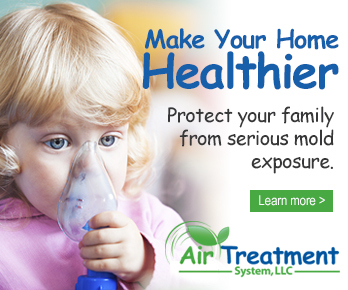 While your home may look clean, mold or moisture problems in the attic and basement can be the silent threats to your respiratory health and the health of your loved ones. Our free evaluation will identify any problems, and we clean up your current problem, and help prevent future growth. If moisture is an issue in your home, click below for a free evaluation and diagnosis. Yes, I want a FREE evaluation!